This summer, the Kiwanis club of Oceanside is collecting gently used paperbacks to send to our troops overseas, in coordination with Operation Paperback, wonderful, highly acclaimed, non-profit organization. Operation Paperback supplies the addresses for the troops. Kiwanis ships the books directly to the troops. Troops have requested the following genres: action, bestsellers, biographies and memoirs, fantasy, history, horror, mysteries, science-fiction, true crime. We are asked not to send romances unless specifically requested by the individual! So bring your books down to Schoolhouse Green any Monday night in June, July & August--we'll do the rest! The Kiwanis Club of Oceanside is pleased to announce that our Eighth Annual Summer Gazebo Readings series starts June 2, 2014. The Readings will again be held every Monday evening in June, July and August. Each summer hundreds of people come down to Schoolhouse Green on Foxhurst Road in Oceanside to enjoy readings by some of Long Island’s most prestigious poets and published authors (both fiction and non-fiction). 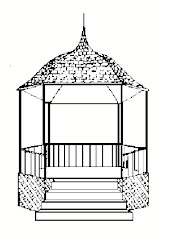 The Summer Gazebo Readings are held outdoors and are free to the public. Audience members bring lawn chairs and blankets to share a quiet summer’s evening on the grounds. We are seeking individuals and merchants in the area who are interested in helping to sponsor this series. All funds raised from this program help us send underprivileged kids to Kamp Kiwanis. Sponsorships for the Summer Gazebo Readings are $150. Your name (and logo, where possible) will appear on all announcements, signs and posters, as well as on the thousands of flyers we distribute, the thousands of e-mails we send, the weekly Program, our FaceBook page, etc. Program Patron is $35 and includes your name listed in the program we hand out each week. Your sponsorship can make literature come alive in Oceanside this summer and help send deserving kids to a great summer camp. Please join us for pleasant evenings at Schoolhouse Green and for what we hope will continue to be an interesting and fun program. If you have any questions about sponsorship (or becoming a reader) please feel free to contact me. Thanking you in advance for helping to support the arts in Oceanside. Yes, I’d like to be a sponsor: Please make checks made payable to "Kiwanis of Oceanside"
First, let me thank you very much for considering reading at the Gazebo. The funds we raise through our sponsors helps the Kiwanis Club of Oceanside send underprivileged kids to our statewide summer camp– Kamp Kiwanis (http://www.kiwanis-ny.org/kamp/index.html). Have you come down to the Gazebo to listen to other Readers? Do you have a Long Island or Oceanside tie? We are very fortunate in that the Reader response, like our audience, has grown significantly during our first three years. Unfortunately, that means that we are going to have to disappoint quite a number of people this year. If we can't fit you in this year, we hope you'll come down and enjoy the evenings with us-- certainly that will be a major factor in our filling cancellations this summer, and with next year's calendar. Place: The readings are held on Schoolhouse Green which is located on Foxhurst Road, Oceanside, New York (just east of Long Beach Road). Directions can be found here. The readings have a ten (10) minute maximum and should be geared for general adult audiences. We will have some teenagers present but this is primarily designed for adults. The phrase I have been using (to death) is "Think basic cable not HBO/Showtime". I would suggest that if you have any doubts as to whether the material you selected is suitable, the mere raising of the question may in and of itself provide you with your answer. Rain Cancellations: We are an outdoor event only. We will do everything we can to make sure that the readings proceed forward but in the event of truly inclement weather we will have to cancel the event. You can reach me at my contact information outlined below but I will be reaching out to you immediately upon our determination of cancellation. The time of the cancellation will be reader dependent. For readings where I have people coming from a further distance, I will "call" the event sooner than I will if we have local readers. Dress: This is a reading on a Gazebo green. Extremely casual summer attire is appropriate. Admission Fees: There is no admission fee to the readings. Can I sell my books, etc.? Yep. We provide a table and a Kiwanian to handle the sales for you, if you choose. And, of course, we'll announce the availability of your book(s) so you don't have to.